3rd Machine is a Dutch band consisting of five experienced musicians that earned their stripes in the metal scene. Starting out in a time when styles like metalcore and djent still had to be invented, the band gradually developed their style to what is is today: Metal with a capital M, which naturally interchanges heavy riffs with melodical interludes. With the EP ‘The Egotiator’, 3rd Machine has evolved and made a big step forward. The always present massive wall of sound produced by the drums and guitars is interspersed with atmosperic parts that include virtuoso guitar solos that will appeal to any guitar enthusiast. On top of all of this, brutal screams alternate with fragile and melodic vocals to complete the band’s own distinctive sound. 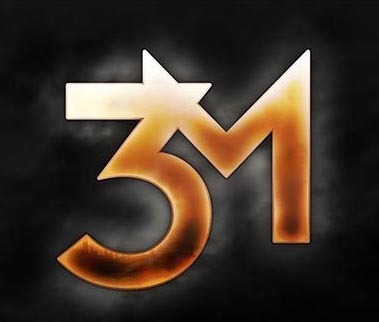 3rd Machine’s previous EP recieved many enthusiastic reviews, which resulted in shows with acclaimed bands like Epica, After Forever, Revamp and Dagoba. With ‘The Egotiator’, 3rd Machine shows it has matured even further and is ready to compete with national and international acts.